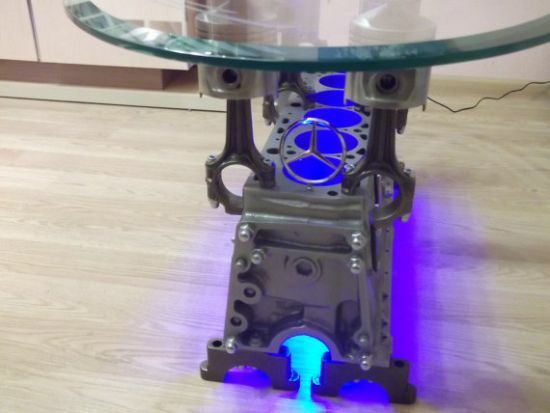 Going beyond vintage candlesticks, Etsy shop owner Andrejs Isajevs now tries his hand at morphing a discarded Mercedes-Benz S-type 1983 280SE engine block into a spectacular coffee table. And believe us, the end product that culminates in an eye-catching piece of furniture is none less than spectacular, to say the least. The DIY coffee table features high quality finish and smooth edges. 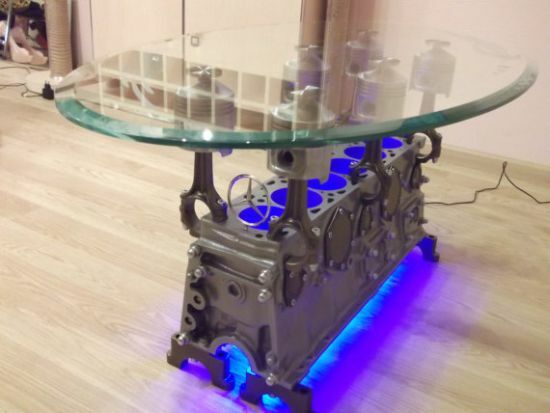 Its oval tabletop, which utilizes 10mm tempered and toughened glass, is attached to engine’s six pistons and four crankshaft holders by using transparent metal-glass glue. 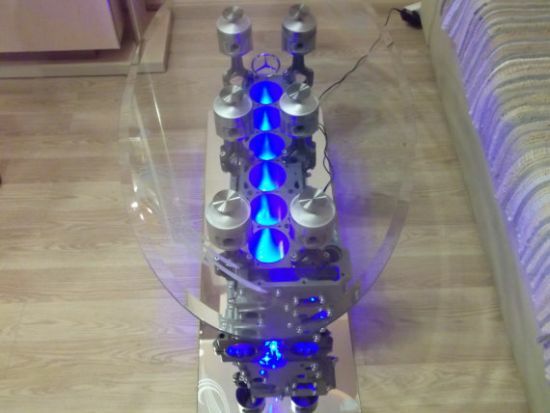 The Top Gear engine coffee table further has ice blue LED strip, powered by 12V power supply. 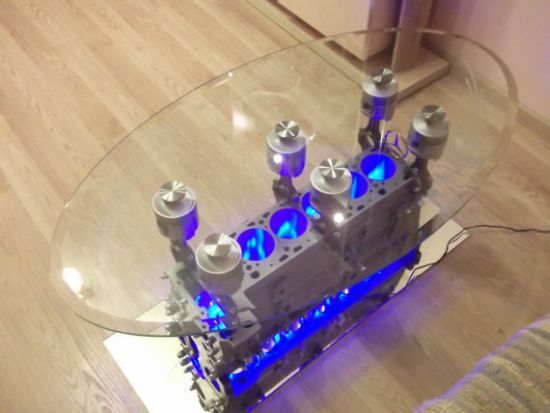 Originally made in Latvia, the table would make a decent addition to your interior space. 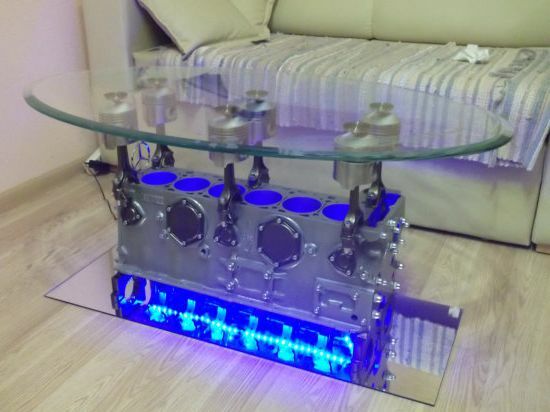 Priced at $1,200, the one-of-its-kind table doubles as a TV stand – only if you want to use it that way.